Chicago's WBEZ91.5 looks at why that tell-tale orange is becoming history. This week the Washington, D.C.-based American Council for an Energy-Efficient Economy issued its “2015 City Energy Efficiency Scorecard,” finding that Chicago ranked among the top 10 cities in the country for having strong energy efficiency policies. Chicago’s rise came from benchmarking and energy transparency initiatives, said David Ribeiro, ACEEE research analyst and one of the authors of the report. One Chicago ordinance requires all commercial, residential and municipal structures of 50,000 or more square feet to submit whole building energy data annually to the city and have it verified every three years. The ACEEE's scorecard documents and compares actions cities can take to enable or improve energy efficiency. The report’s metrics measure policies and programs that achieve one or more of the following: directly reduce end-use energy consumption; accelerate the adoption of the most energy-efficient technologies; provide funding for energy efficiency programs; set long-term commitments to energy efficiency; establish or enforce building performance codes or standards; reduce market, regulatory, and information barriers to energy efficiency. An important component of a city's energy efficiency program involves the choices made regarding lighting. 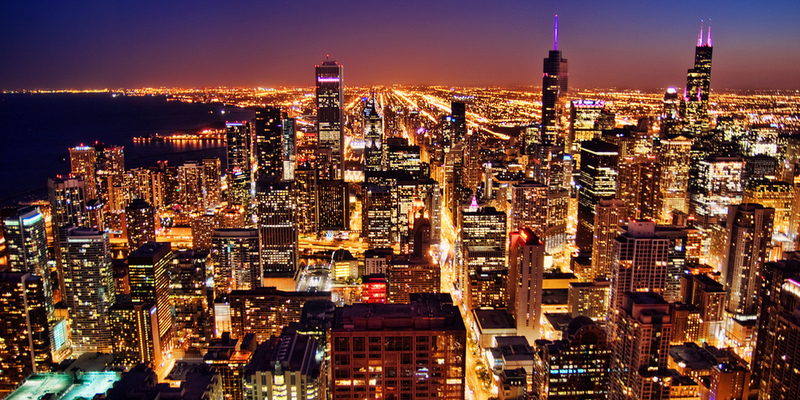 The release of the report reminded me of a segment which aired on WBEZ91.5's program Curious City last month which attempted to answer the question: How has energy efficient lighting affected the view of the Chicago skyline? In the story, George Malek, director of ComEd’s energy efficiency program, confirms that sodium vapor lighting — and its tell-tale gold glow — is on its way out. And, he says, the transformation is driven by a city-wide movement toward efficient lighting. What are you doing to measure/modify your building's energy efficiency? Take a moment to follow the links to these stories and feel free to comment below.